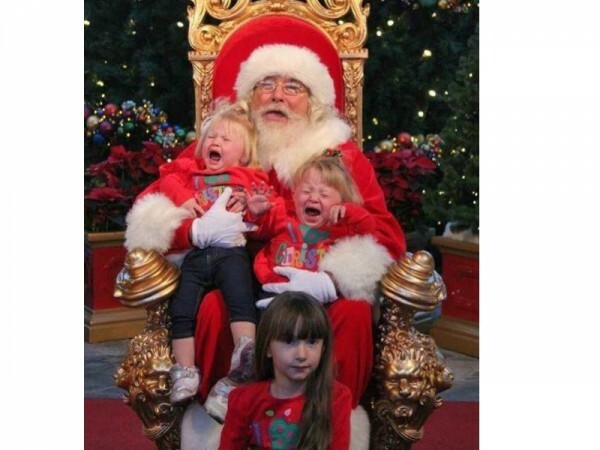 Snapping a shot with Santa is part of most parents’ December checklist. 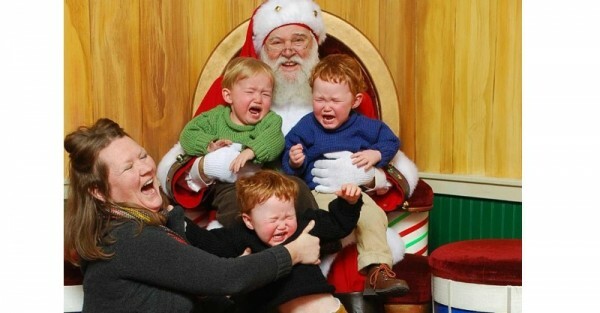 And while it is great to have a beautiful keepsake of your children, dressed in their best and smiling with the man in red, often, the photo shoot turns into a hilarious disaster. 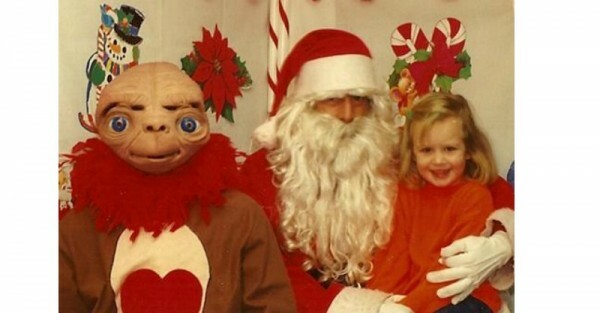 And we’ve found the very best in amusing, awkward and downright awful Santa photos that will leave your photo looking tame in comparison. 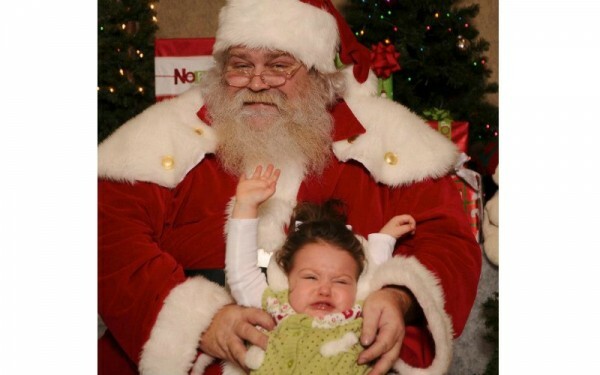 So, without further ado, welcome to Babyology’s ultimate guide on how to fail at Santa photos. 1. 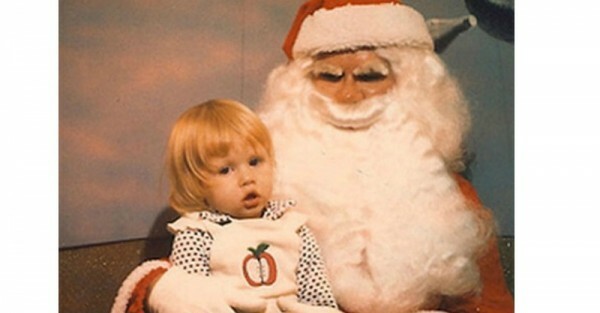 Opt for the scariest looking Santa you can find. 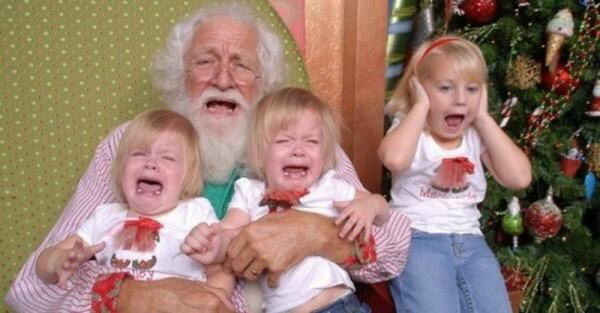 Oh look, it’s Santa’s horrifying older brother, Satan Claus. 2. Make sure all children are screaming for dear life. 3. And if said children do not stay screaming, join them in the photo. It’s okay. As long as everyone is in the photo, it’s a success. 4. 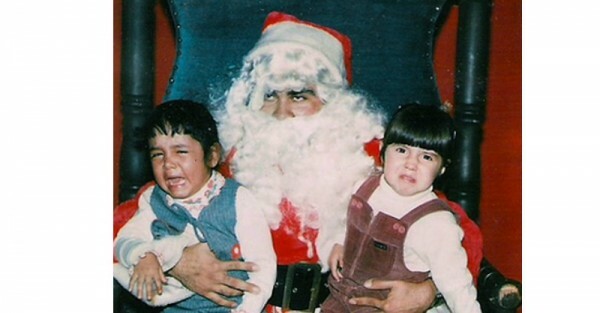 Choose a Santa that hates his job. We’re not sure who is the most unhappy in this photo. This one is great for the Christmas card. 6. Then, add E.T. to the photo. 7. 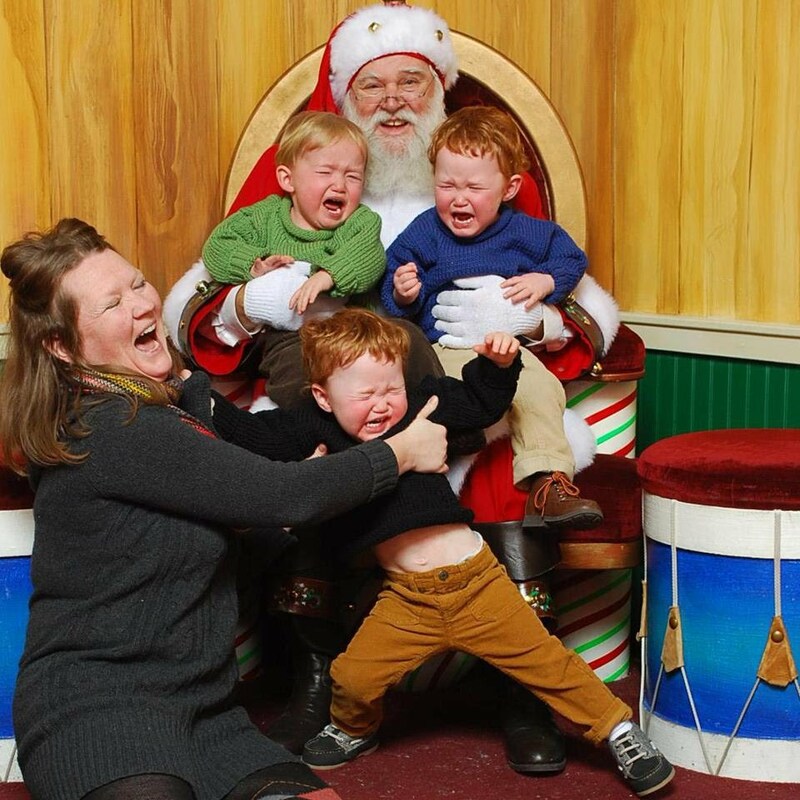 Capture the moment Santa manages to drop your child. 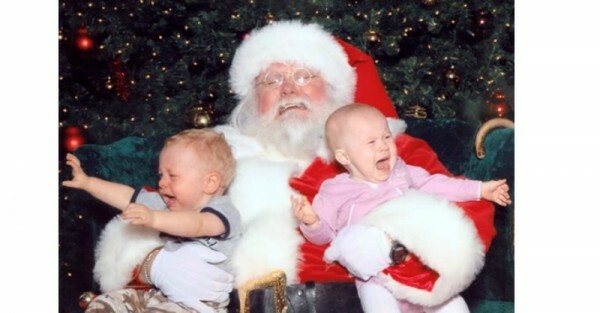 Nothing says “Merry Christmas” quite like a crying infant who is about to be dropped by Santa. 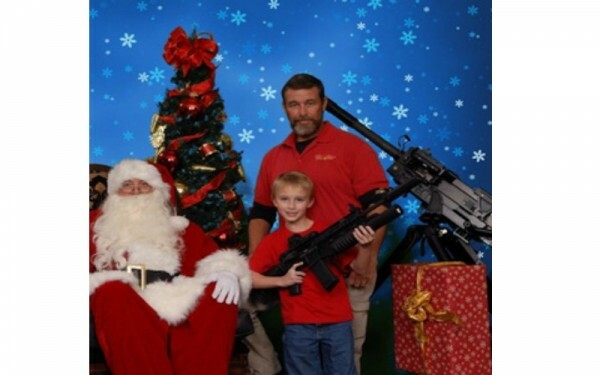 Guns, clearly, are an excellent choice to up the awkwardness level. 9. 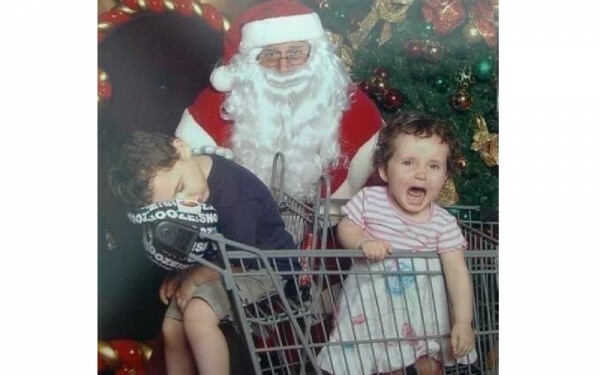 Keep your child in the shopping trolley. 10. 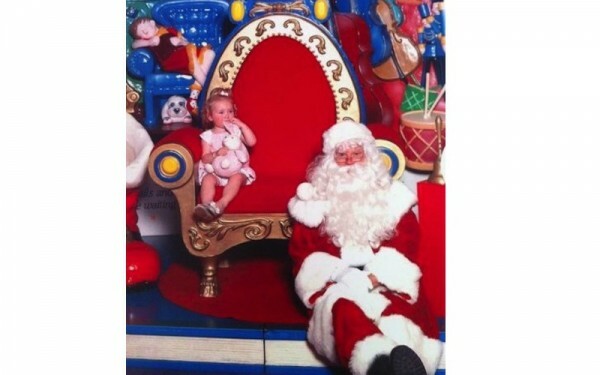 Place your child at least four feet away from Santa. As long as Santa is not within arm’s distance, you may be able to snap a photo. 11. And, finally, ensure your child flips the camera the finger. 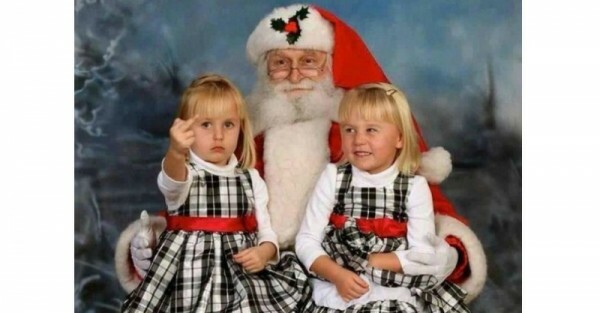 And, this, ladies and gentlemen, is how you guarantee the most awkward (and memorable) Santa photo fail ever.